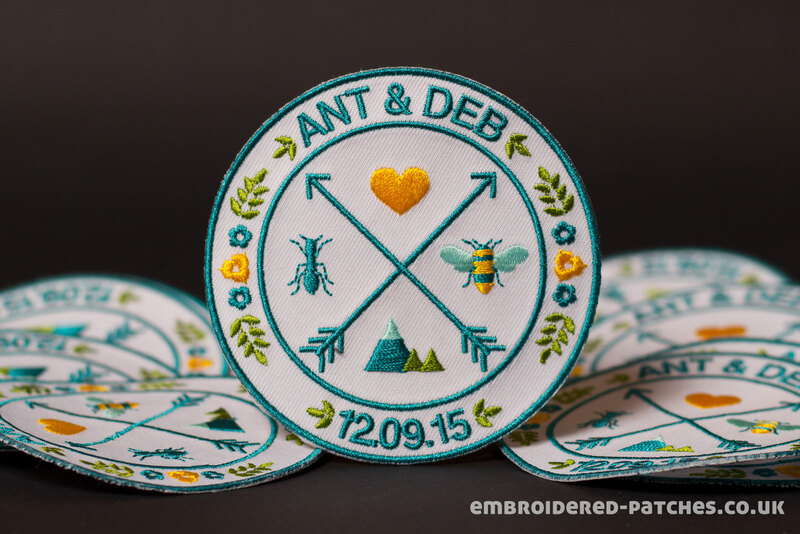 Nothing will be more personal than beautifully custom embroidered patches. You can try a few ideas like an addition to the wedding dresses by stitching little blue bows inside the dress lining or some complex ideas like the use of small swatch from the groom's outfit or wedding dress to make fantastic artwork in the wedding venue. Visit Patchion today, send them an image and receive top quality custom embroidered patches within two weeks. 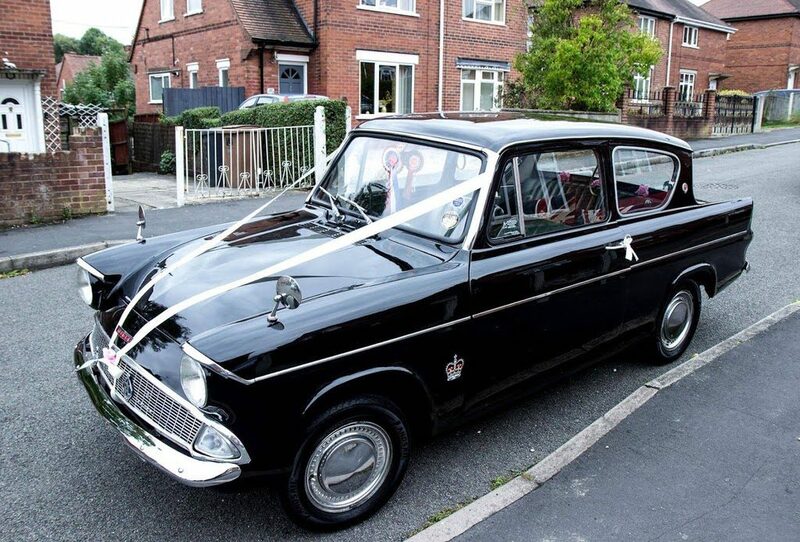 Call them and say "Awesome Yorkshire Weddings" to get free UK delivery. 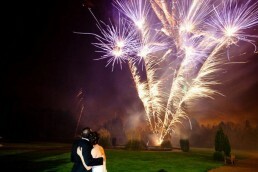 Fireworks can add a lot of extra magic to your wedding. 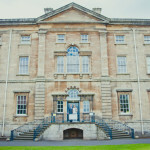 They can also be used as a backdrop to wonderful wedding photographs. What are the best fireworks for capturing amazing wedding photographs? Fireworks come in all shapes and sizes. You have big rockets that shoot up high into the night sky and sparklers that dazzle closer to ground. While all fireworks are wonderful in terms of the enjoyment, you will find some fireworks working better in photographs. 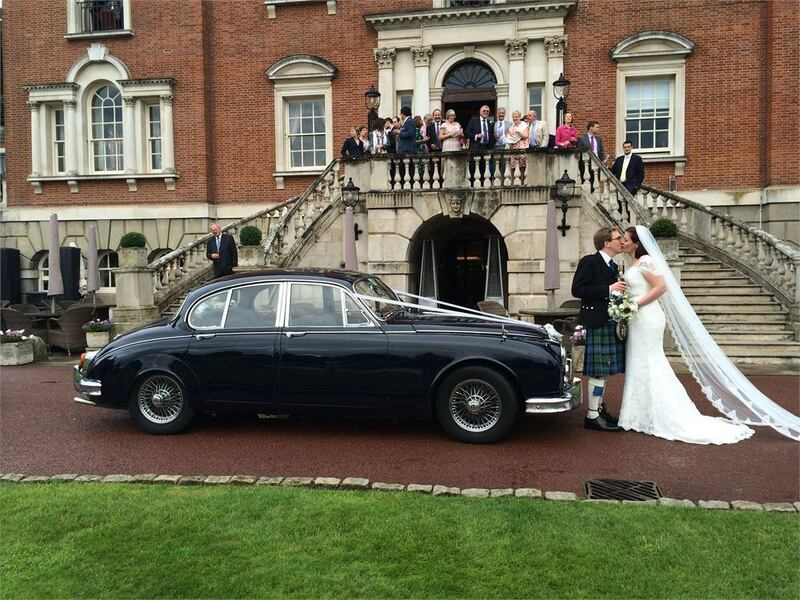 Here are four favourites for capturing stunning wedding photos. Fountains are definite favourites when it comes to fireworks. These impressive fireworks can reach heights of up to 20 feet and can last for a good few minutes depending on the specific product you buy. Fountains add drama to your photos and again depending on the product can either run continuously, creating a sea of sparkle and fire, or go off in individual explosions. They can be used as a backdrop in all sorts of wedding photos. Two fountains on the side of a photo could even work as a lovely frame to a kissing couple! Fireworks can also add just a touch of sparkle to your photos and for this, sparklers are the perfect option. You can use sparklers indoors for most occasions so this is great for adding that firework-effect to your photos inside your venue. 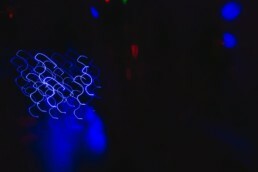 With slow exposure, it’s even possible to use fireworks for drawing words or images to your wedding photos. A sparkler allows you to draw a heart that will show up in the final image, for example. 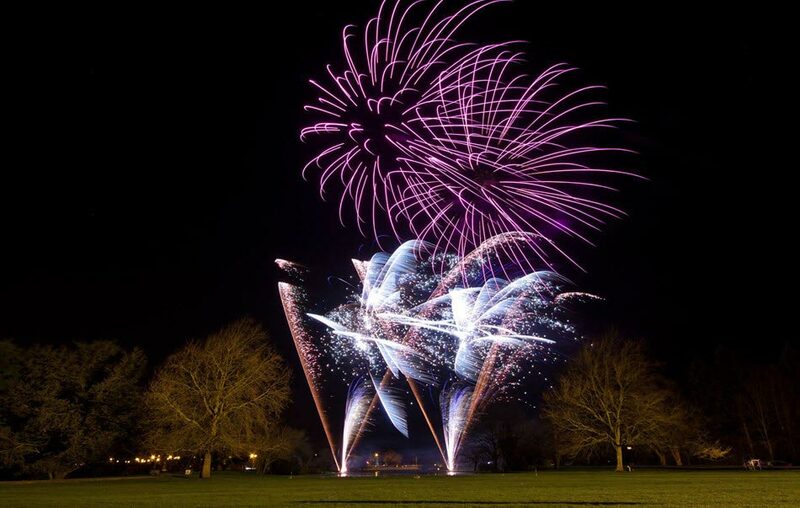 You can add a lot more depth and fun to your photos when you think about making the most of camera effects as well as the fireworks themselves. Catherine wheels don’t explode up in the air like many other fireworks. These are usually nailed in a wooden structure and when set off they tend to spin in circles. They create a wonderful effect of a spinning ball of fire, with different coloured sparks flying all around. The wheels usually last around a minute or two, which gives you plenty of time to take stunning photos. 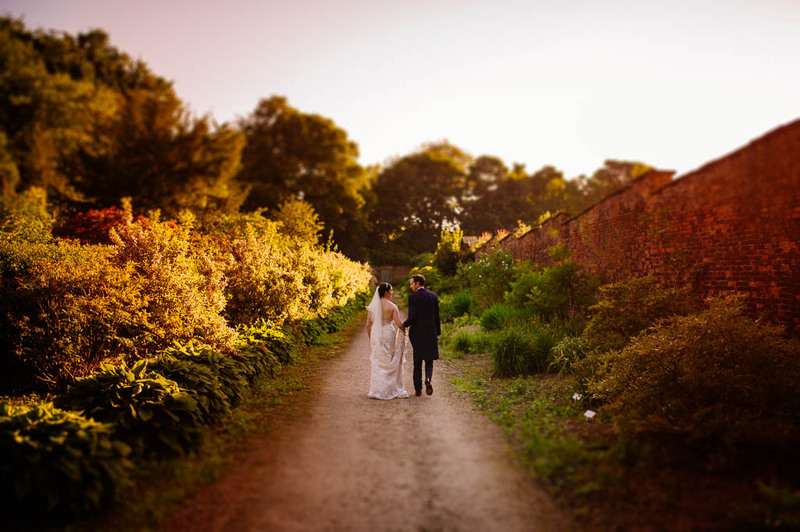 Since it all happens on the ground, you are able to use them as a backdrop for photos of your wedding guests or the wedding couple, and they work great in conjunction with fountains and smoke bombs, which we’ll look at below. Smoke bombs definitely deserve a mention. If you want to create a dramatic effect, then setting off a smoke bomb in the background is a wonderful idea. The slight smokiness looks brilliant either outdoors acting as ‘mist’ or even on the dance floor – if the venue is okay with it and you have a specific indoor smoke bomb product!– the perfect look for dreamy photos of the newlyweds! The above fireworks and ideas are definitely worth keeping in mind when thinking specifically about using fireworks in your wedding photos, as opposed to simply having a fireworks display and hoping the photographer can capture it! Always talk to your wedding photographer about using fireworks. You definitely want to hear their input and ideas, and ideally you want to find out they’ve photographed fireworks before. Even if they haven’t, another option is to take a video and then choose the best frames as your photographs. Remember to stay safe. Fireworks are explosives and it’s important to follow safety guidelines and not be tempted to get too close to them for your photos. 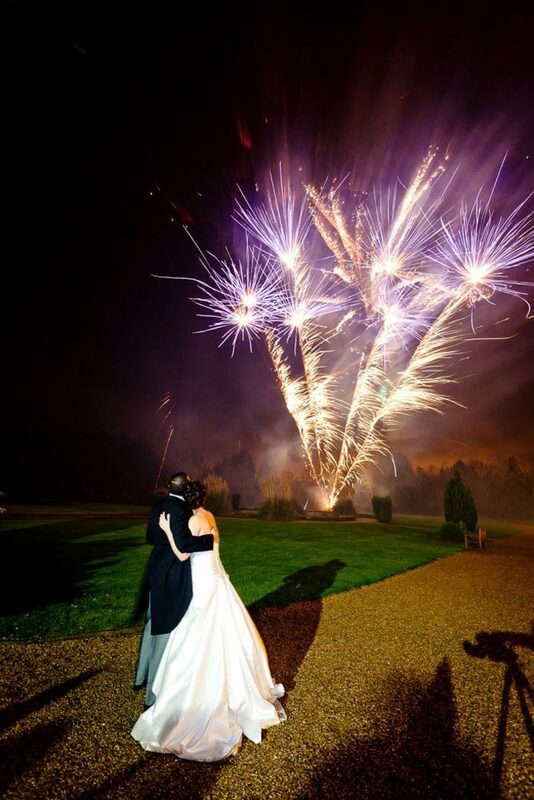 Fireworks are a great addition to your wedding photographs. 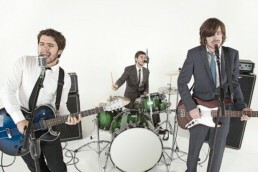 They will also add plenty of entertainment value to your wedding day so using them is a win-win! When it comes to planning your wedding, there are so, so many things to keep track of. 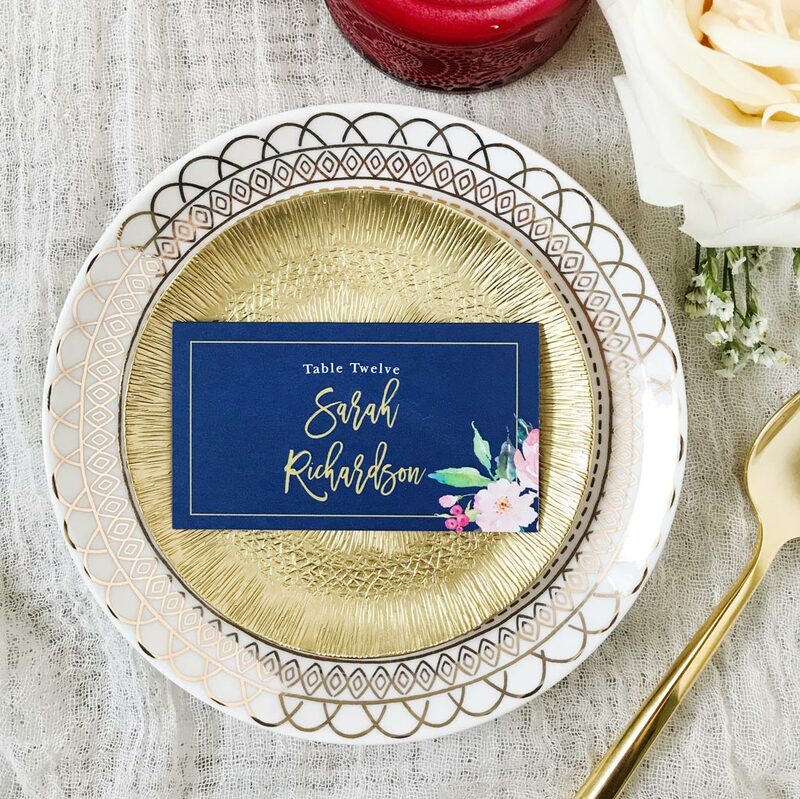 From the big things like the venue, dress, and guest list, to little details like the choice of flowers and place settings, everything needs to be given its due care and attention. However, one thing that you definitely shouldn’t rush through is your choice of wedding DJ. After all, this is the person who is going to be in charge of getting the party started when it comes to your wedding reception, and your choice can either make or break the atmosphere. Not all DJs are created equal, so you really have to think long and hard about who you’re going to pick. Not to worry, though- in this article, we’ll give you a few pointers on questions to ask your prospective DJs, to help you make the right choice. First of all, you’ll want to make sure that the DJ in question does this as their full-time job. The last thing you want is to hire somebody without the necessary skills and experience, and only find out when the reception itself rolls around. DJs who have made a career out of their work will know how to best work an audience, and even if they’re faced with a tough crowd, they’ll make sure that everyone is up and rocking by the end of the night. A professional will also have access to all the equipment they need to put on a great show, whereas a part-timer might not come fully prepared. Next up, make sure that you interview your DJ instead of just taking them on without ever meeting them! A face-to-face meeting is the best way of sensing whether or not the DJ is going to be compatible with the sort of wedding reception you’re planning. It also gives you the chance to discuss any particular songs or playlists you have in mind, to make sure the wedding DJ is going to be able to accommodate your requirements. Now is also the time to think about whether or not you want the DJ to take requests. Some couples like things to stick to the predetermined playlists, whereas others are happy to open up the floor to their guests- let your DJ know which approach you’d prefer at this stage, to make sure it’s something they’re happy with. Finally, a DJ is only as good as their equipment, so make sure your chosen DJ comes prepared with everything that’s required for one hell of a party. This is particularly important if you’re booking a large venue for your reception- you don’t want the sound to get lost from speakers that are too small to fill the venue. You’ll also want to be certain that they know how to get everything set up quickly, so your guests aren’t left waiting around. Lastly, backup equipment is also a must, in case anything happens that puts part (or all) of the main equipment out of action. So, now you know what to look for in a wedding DJ, you should find that the whole process is a lot simpler. If you want to make things even more simple, then why not cut out the middle man, and go straight to Floorfillas? 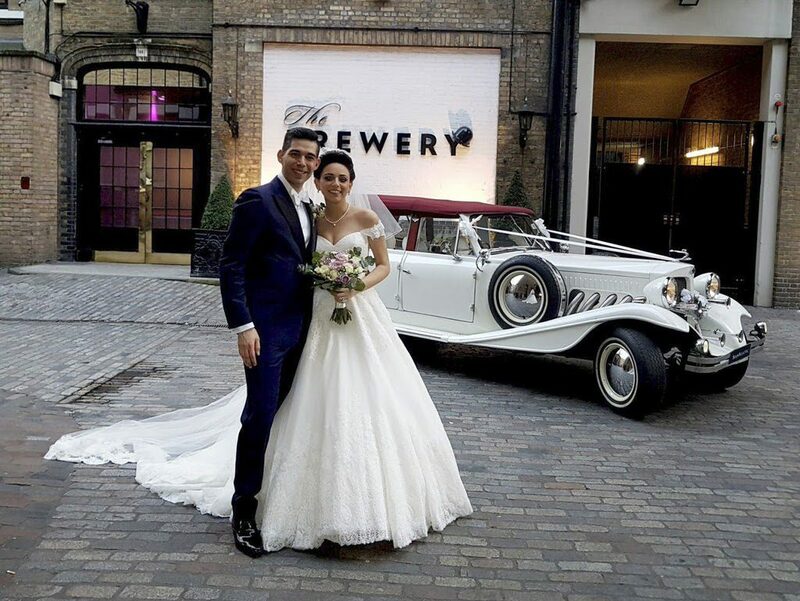 As one of Brides Magazine’s top ten wedding DJs in the country, your wedding reception is sure to go down a storm! There are numerous occasions that call for a party or some form of celebration. You could be planning a corporate event, a friend’s birthday, or fathers’ day. On such days, most people generally cook for themselves or order food from random restaurants. It can be quite difficult to make enough food for each of your visitors if you decided to cook by yourself. Parties and special occasions are supposed to be fun and memorable. However, when you’re in charge of all the planning, the hosting, the cooking, the serving and eventually the cleanup, it can quickly become un-fun. Hiring a private chef can put the enjoyment and fun back into your party or occasion so that you don’t miss a single special moment. Hiring a private chef comes with numerous benefits and advantages compared to cooking yourself or ordering from a restaurant. 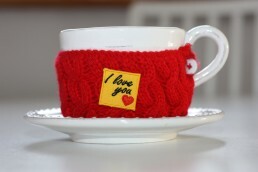 The biggest benefits are that it saves you money since you don’t have to buy all equipment, food and table decorations. Additionally, hiring a private chef can save you lots of time. They will take care of the cooking and preparations; all you have to do is show up a smile. So, when should you hire a private chef? As I said, there are many occasions and events that need the services of a private chef. Here are the 8 occasions where you can benefit by hiring a private chef. Hiring a private chef can really make your wedding unforgettable, and it should, after all, it’s your special day. Private Chefs are able to organize a large professional team that can cater to all your visitors. 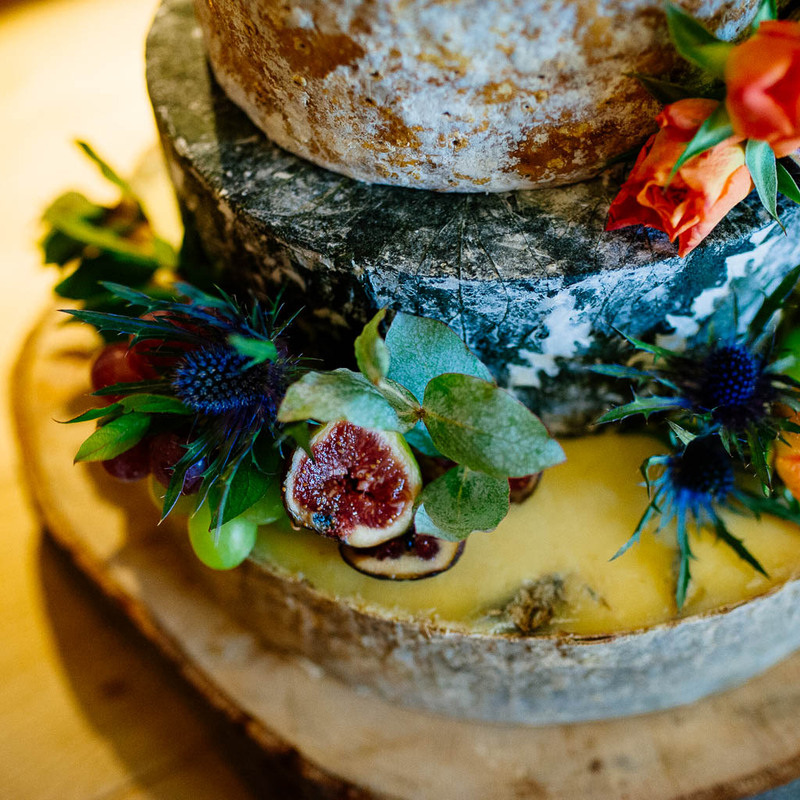 You can be assured the food will the quality and presentation will be exceptional and your wedding photographer will have some amazing shots! If you have a loved one whose birthday is around the corner, you can make their special day extra special by hiring a private chef for them. The chef can craft the menu to reflect their career or personality, and show off some of their aspirations on the birthday cake. Sometimes booking a table at a restaurant on a special day like Valentine’s Day can be as difficult as finding true love itself. 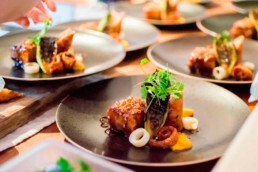 Hiring a private chef is a unique idea that offers you the intimacy of customizing your menu to suit the exact culinary preferences of your partner. An anniversary is all about the best memories of your marriage. But you don’t want to spend this precious time being worked up in the kitchen, do you? A private chef can help you recreate that special meal that you had on your first date or that special dinner you had at your wedding. Traditional hen parties are typically characterized by the exchange of small gifts and night-long parties often with shots, feather boas, and strippers. However, if the idea of a messy wine-soaked night and plenty of half-clothed tipsy heads doesn’t work for you, it might be a great idea to hire a private chef for a low-key lunch and themed dinner after that. Mother's’ day is one of those days that you give your mum some special treatment. And if you’re a mum, you want to take a break from all the stresses of shopping for groceries, cooking, serving and cleaning up. A private chef can afford you the luxury of spending time with your loved ones and still enjoy your favorite meal. Christmas time can be quite overwhelming with all the preparations, cooking and serving, and before you know it, the day is over. Instead of getting overwhelmed by all the kitchen work, you can hire a private chef to take care of that while you enjoy more fun family time and delicious, quality food. Holidays are supposed to be as relaxing and fun as possible. They are also the best times to actually have consistent quality, balance diets meals away from the fast-food and hectic routines associated with the city life. If you have booked a staycation at a countryside farmhouse or scenic seaside house, having a private chef to prepare custom-made foods for you can enhance your holiday experience and allow you to actually enjoy your time. Nothing beats the convenience of having a private chef that can cater to your every culinary need. You get to save time and money while incorporating delicious menus and new fixes to your diet. Save yourself from the stresses and hassles of shopping, cooking, serving and cleaning up, and focus on actually having fun on your special day by hiring a private chef today. Aside from reaffirming your love or celebrating a new one, doing everything you wish you would have done the first time around is what it’s all about! 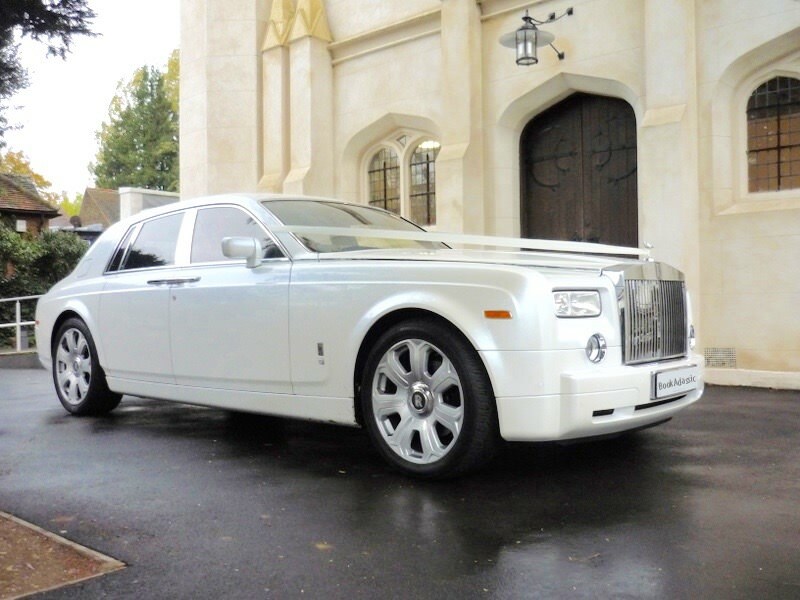 Which is why wedding day details are such an exciting part of a second wedding or vow renewal ceremony. It’s so exciting planning for the second time because you are a pro! You know what’s important and what isn’t and you have a new found style and second chance glow to show off to your loved ones! So, once you have your dress, your flowers, and everything else leading up the the big day - it’s time to focus on the wedding day details you don’t want to skip! Last but certainly not least - menus. You can get seriously creative with menu cards. Design a larger sized menu with all of the options laid out or be subtle with a dessert and drinks only menu. 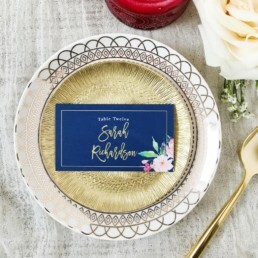 Place the menus atop each place setting or in the middle of every table to add to the decor and inform your guests on the night’s bites. 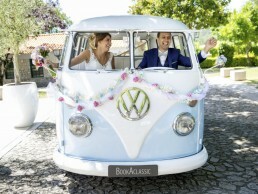 Your wedding day is undoubtedly one of the biggest days of your life. You have spent months sorting out the band, the centrepieces and the venue but now it’s time to turn your attention to the clothing. 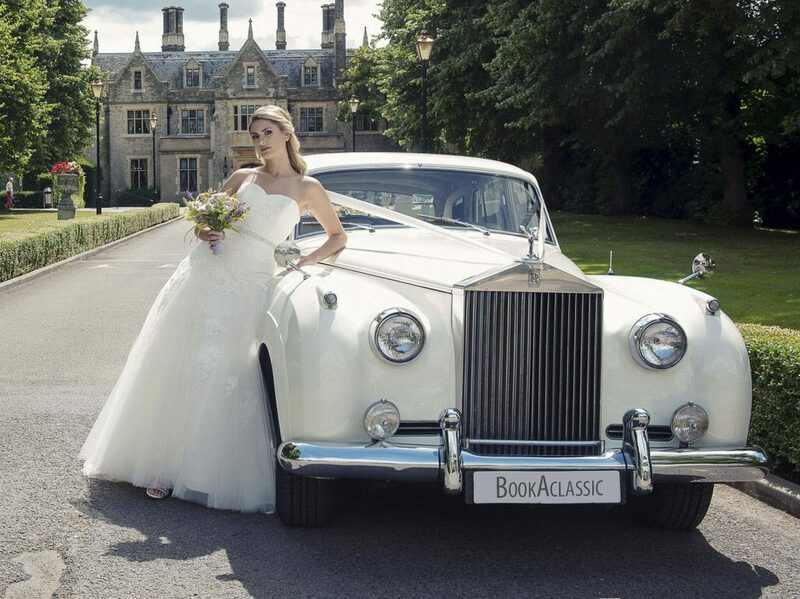 Brides are lucky in the sense that most of the focus tends to be on their dress and the huge range of styles means that their dress can often be a representation of their personality. Grooms, on the other hand, are a little unfortunate in the sense that wedding suits are a little generic. However, help is at hand. Accessories are a great way to incorporate a little bit of your personality and style into your wedding outfit and it is really easy and often inexpensive. We’ve teamed up with Trendhim to talk about 4 common groom’s accessories and how they can be worn. These are a great accessory as they are really easy to get right and there are so many routes you can go down in terms of style. Groom’s cufflinks are commonly seen in silver and gold, especially if said wedding has a black tie dress code. 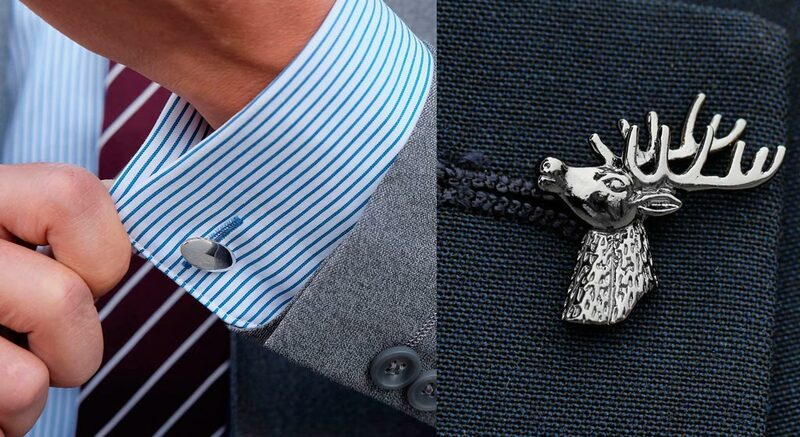 However, if you are holding a themed wedding, cufflinks can be a great way to give a subtle nod to this theme. For example, if your wedding has a nautical theme or dress code then anchor cufflinks make a perfect choice. Another really nice idea is to go for a pair of simple cufflinks but to get them engraved with you and your wife’s initials or the date of your wedding as this makes for a really nice memento of such a special day. A lapel pin is classically worn on the left lapel of a suit jacket and grooms usually opt for a boutonniere which is a type of lapel pin made of a real flower. 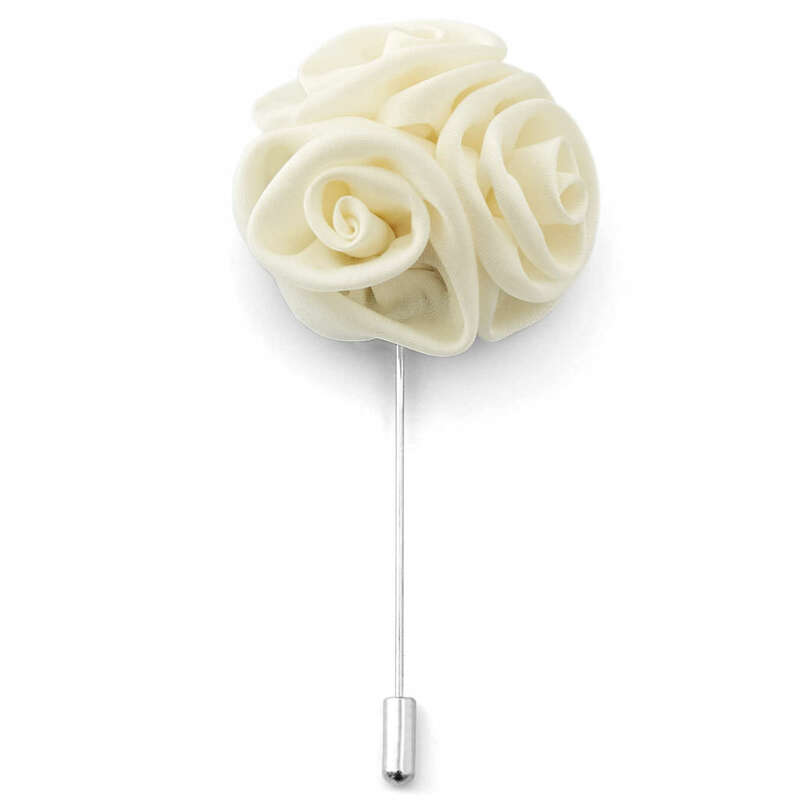 However, for practical and style reasons, many grooms are choosing to go down a different route with their lapel pin. Typically, metal lapel pins are used to express affiliation with a cause or an organisation, but for a wedding you could use it to express something about your personality or heritage. For example, a really nice gesture could be to get a flag pin of your native country if you are marrying abroad. Faux flower lapel pins are great if you are looking for a flower design in a bold colour as you are sure to find something that fits your taste. Just make sure that the colour compliments your shirt, your jacket and any other accessories that you are wearing on your torso area. If you have opted for a black tie dress code at your wedding, then a black bow tie is essential. If you have a different theme or dress code, then a bow tie can still be a worn and can often look more stylish than a traditional tie. For example, if you’re holding your wedding outdoors or you have a boho theme, then a wooden bow tie is a really nice way of connecting this theme with your accessories! If you feel that your outfit is a little boring and monochrome, then a floral bow tie is a really nice way to inject some colour without going overboard. 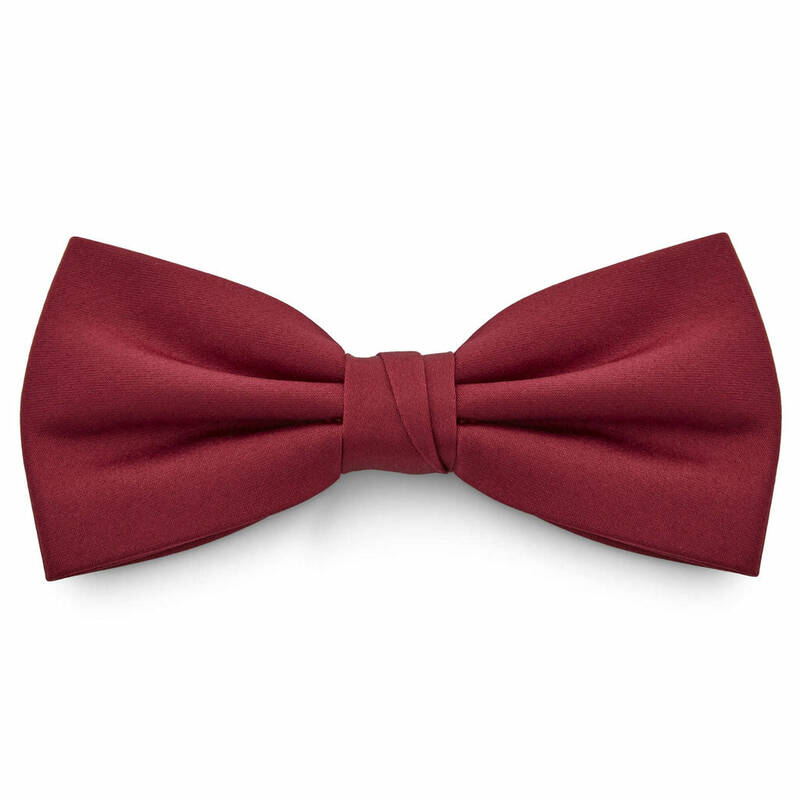 If you do opt for this type of bow tie, make sure to keep your other accessories subtle so they don’t end up clashing. Don’t be put off if you are unsure about how to tie a bow tie, there are plenty of tutorials and infographics online. If you’re still struggling, then just get yourself a pre-tied one. Suspenders, or braces as they are also called, are a really nice way of incorporating some subtle colour into your outfit. They are also a nice alternative if you don’t fancy wearing a waistcoat or a cummerbund. How bold you go is completely up to you but some classic colour combinations are navy suspenders with a white shirt and burgundy or red suspenders with a light blue shirt. 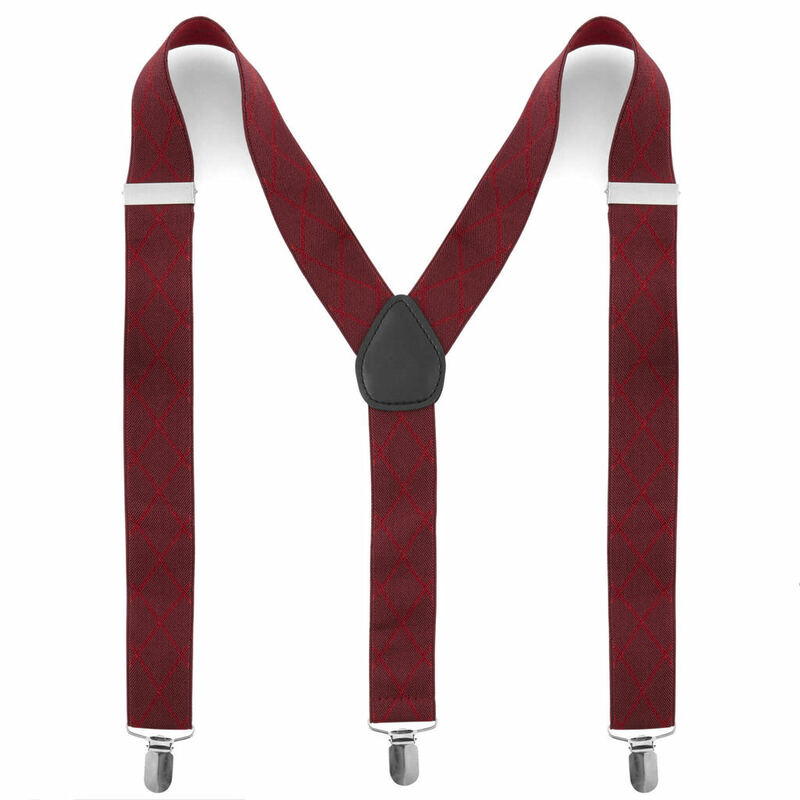 Subtly patterned suspenders are also a really nice choice. The golden rule of suspenders is that they are a substitute for a belt so the two should never be worn together.